This is a round flange Gillette porcelain sign. This particular Gillette sign features a large silver razor against a yellow background. 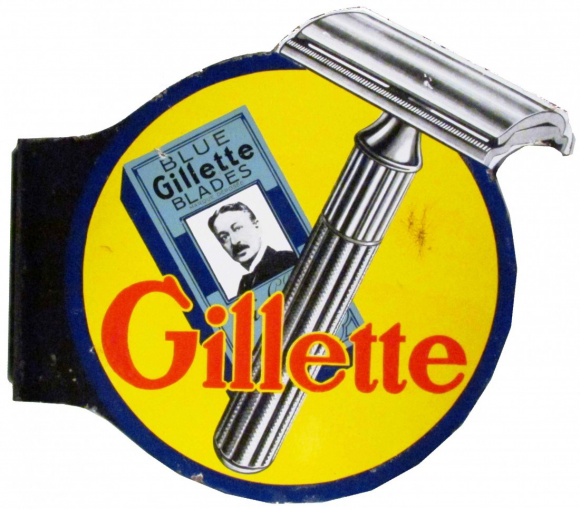 It reads, “Gillette Blue Blades, Gillette” and also has a blue box of Gillette Blue Blades in the center.